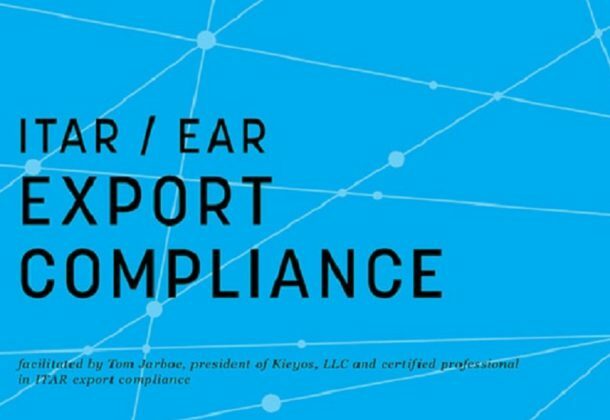 The Patuxent Partnership, in conjunction with the Maryland Department of Commerce, will offer the ITAR/EAR Compliance Program from 9 am to noon Wednesday, Dec. 19, 2018, at the Precise Conference Center at 22290 Exploration Drive in Lexington Park. This three-hour session will be facilitated by Tom Jarboe, president of Kieyos LLC and certified professional in ITAR export compliance. More details will be published when available. Mr. Jarboe is a veteran of the US Coast Guard. Upon leaving the service he worked for Sierra Management Technologies as a flight operations coordinator for the V-22 Integrated Test Team before going to Eagan McAllister Associates as a deputy program manager. He then left to start his own defense contracting company Technology Security Associates Inc. where he led as chief operating officer until September 2014. He currently serves as president of Kieyos LLC, an international trade company. With its corporate headquarters located in Lexington Park, Maryland, with offices in Baltimore, Rochester, NY,and Huntsville, AL, Kieyos is well-known in the international trade industry for its expertise in International Traffic in Arms (US State Department) and Export Administration and Regulations (Commerce Department) licensing, Customs brokering, freight forwarding and international business trade development. He is a certified professional in ITAR export compliance (ECoP-ITAR). The Dec. 19 session is part of the Maryland Defense Diversification Assistance Program, a comprehensive business assistance program for Maryland defense contractors interested in commercializing their business or exporting to overseas markets. Funded by a federal grant from the DoD’s Office of Economic Adjustment (OEA), this program administrated by the Maryland Department of Commerce in conjunction with federal, local, and non-profit partners, provides free or subsidized training and consulting services (valued up to $11,000) to help defense dependent companies identify new commercial or overseas revenue. MD Commerce is accepting applications to the MDDA program through the end of 2018.